Merry Christmas! Have so much to be thankful for this year. the picture on the left was visiting my Daughter in Sydney trying while we tried to locate Lady Macquarie’s Chair near the harbor. 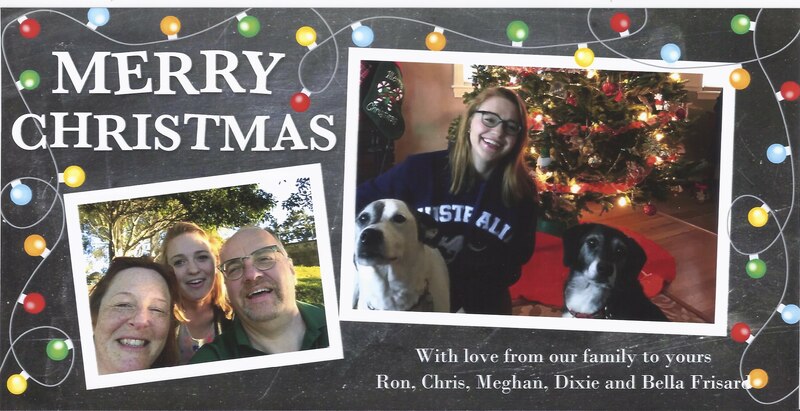 The other photo is of our fantastic tree this year with Meghan and our two dogs, Dixie and Bella.